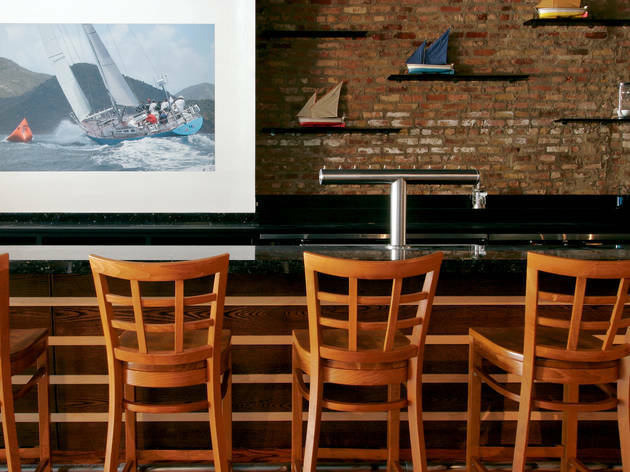 We could have sworn the days of sailor bars were over, but this cheery, nautically themed bar (full-size sails divide the long room into distinct canoodling areas) brought it back, South Loop style. In other words, think sun-kissed yuppie boaters, not pirates. No boat of your own? Refreshing cocktails do a decent job of sailing you away. El stop: Green, Orange, Red to Roosevelt. Bus: 1, 4, 12. Great neighborhood bar. Unpretentious atmosphere and food. A great concept and location but really inconsistent. I always want to give this place the benefit of the doubt but it always seems to be a last resort place. 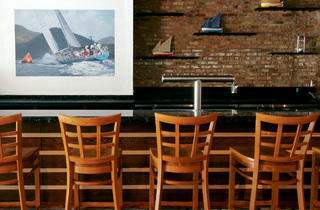 The sailing themed place is right on Michigan Ave in area that needs a bar. They stay true to their theme by specializing in rum cocktails with having 50 different types of rum behind the bar. The food menu is where is feel they missed the mark. You get the sailing feel as you walk in, and with the cocktails but the food is pretty generic bar food. There is almost no seafood options, and they're focus seems to be pizza and burgers. I think if they had some fish n chips, crab cakes or something else to match the theme...they would be able to seperate themselves from the other bars in the area.